Writing a career change cover letter can be difficult. You need to persuade the prospective employer that you have the right skills to perform the job successfully although your actual experience lies in a different area. Use this guide to writing a powerful cover letter that convinces the employer that you are able to effectively transfer your skills and competencies into the new job. This career change sample cover letter is a good guide to writing your own job-winning cover letter. Follow these six steps when creating your cover letter. Many career changers make the mistake of writing about how the employer can help them in achieving their new career goals. Employers are not actually interested in this - they want to know what you, the applicant, can do for them and how you will contribute to their goal achievement. Focus on what you can bring to the job and the organization. Get help with identifying your work-related strengths. Avoid drawing attention to the negative. Instead confidently focus on the relevant skills you bring to the job. Use this list of job skills to determine the relevant skills you have. Highlight the skills and abilities you have that can be transferred to a new position. Make sure these transferable skills are relevant to successful job performance. Show employers how these competencies would make you a top performer if you got the job. Study the job description or announcement carefully, research the company and describe the skills and knowledge from your past career that will work with the new one. In addition to your transferable competencies you can describe any achievements or assignments from your past career which would help ensure success in this job. Find out more about the 12 core competencies identified for job success. 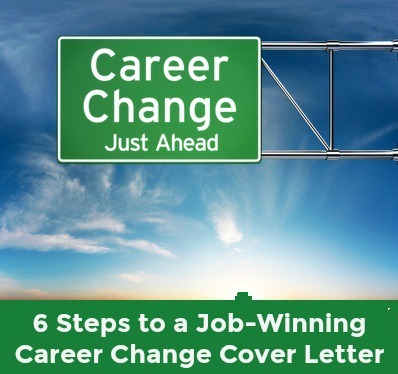 Address the career change issue directly in your career change cover letter. Focus on what attracts you to this new field and why you are so interested in this job opportunity. Do your research so that you are able to clearly express the reasons why this is the career and the company you want to put all your energy and hard work into. Stay away from criticizing past employers or previous career choices. This only backfires and make you appear negative and a poor decision-maker! Employers are only concerned about what you can do for them right now, so focus on what you are moving toward rather than what you are moving away from. As with all cover letters keep your career change letter to one page in length. Although a career changer has more information to convey in a cover letter don't put the reader off by writing too much. 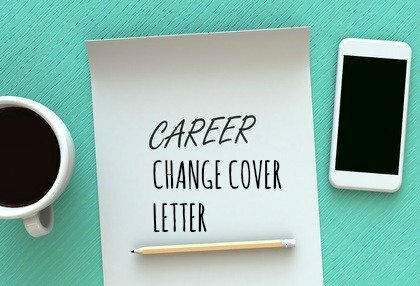 This sample career change cover letter will help you to write your own job-winning cover letter. What do you say when applying for a job with no experience? Focus on those skills and competencies that you can use in the new job. Employers today are looking for those soft skills that ensure successful work performance across a range of jobs. Whether you are looking to change careers or you are interviewing for your first job, be confident that you bring the right soft skills to the job opportunity.